As organizations grow, it is crucial to find employees who are capable of doing more than simply performing well themselves. The ideal employee for a quickly growing organization is someone who displays hard work and competence — and the ability to lead. 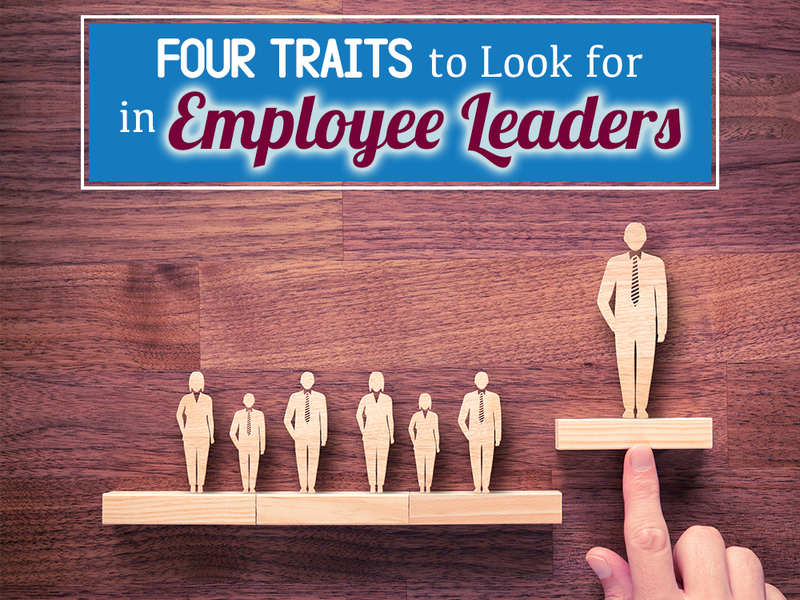 The ability to spot a leader before they have ever been placed in a leadership role is so crucial for anyone driving an organization to success. This ability must be learned through experience. Nonetheless, there are a few tips and tricks that can help you as you go through the hiring and promotion process. Let’s take a quick look at a few attributes that you should be looking for when you decide who will be leading your organization in the future. 1. Good leaders are accountable. If you are going to be in charge of other employees, if you are going to be leading projects, and if you’re going to be spearheading company growth, you must first have a strong sense of accountability. If you are not willing to take responsibility for your own actions, you are not going to take responsibility for the actions of others – at least not in an effective, fair, and actionable way. 2. Good leaders care about ideas. As an entry-level employee, the ability to take orders is very important. And of course, even higher ranking executives must oftentimes follow the advice of the people with whom they surround themselves. However, when it comes to leaders, it is important to find someone who also asks questions and makes recommendations in a reasonable fashion. Good leaders ask why. If you have found an employee or a job candidate who thinks critically about the way the company is run, and who is courageous enough to offer thoughtful, original suggestions, then you have likely found your next leader. 3. Good leaders are innovative. In the era of disruptive innovation, no organization stands a chance at success unless they’re willing to think outside the box and find new solutions for old problems. Innovative leaders are always thinking about the next and potential partner, the next software, or the next production process that will increase efficiency, improve quality, and put the organization a level above the competition. 4. Good leaders demonstrate consistency. One of the most difficult aspects of being a leader is managing to do your very best every single day. Challenges are inevitable in the world of business, and those who allow adversity to negatively impact their performance or even their attitude are unlikely to be successful. Good leaders embrace challenges and long for constructive criticism. Planbox can help foster employee leadership. Built with agile organizations in mind, the Planbox suite of software solutions for agile work innovation and thought leadership is the perfect tool for any company that values the input and insights of their employees. Enterprise innovation management, continuous improvement solutions, and operationalizing design thinking are just a few of the functions we can help fulfill. Visit Planbox online today to learn more about us and request your own free demo.